Last Saturday was our last day after a wonderful and delicious week in The Big Easy and we couldn't stay away from Parasol's. Also, my daughter wanted to get a po boy to go for her flight back to school. We were taking a self-guided walking tour of the Garden District, so how could we not go back to Parasol's? 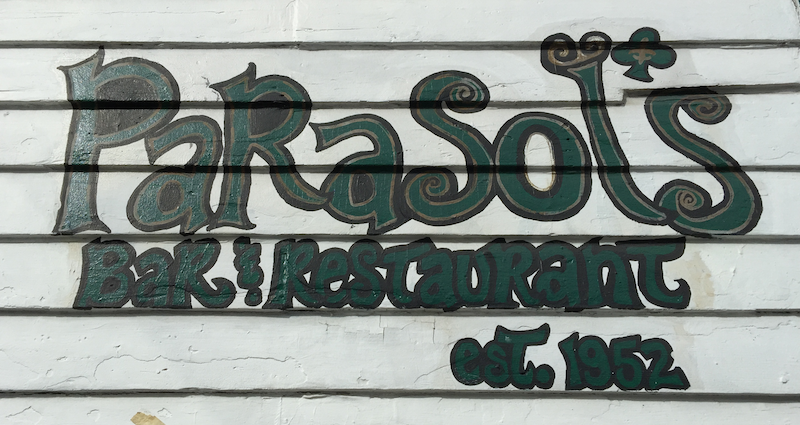 We went back to Parasol's Bar and Restaurant (see my review of my first visit to Parasol's Bar and Restaurant) and we had to get the roast beef po boy again. And we had to get the large again. It's that good and it's a great value. 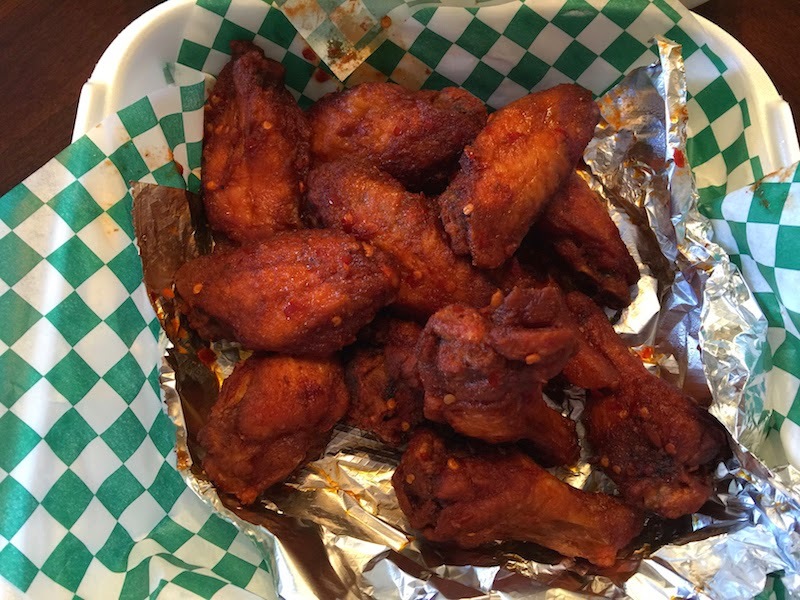 We had the chicken wings at Tracey's Restaurant and Bar the other day, so we got them here to compare them. My wife likes the ones here at Parasol's better, saying they are smokier and more well done in terms of cooking. I liked the ones at Tracey's better since they were not cooked quite so much. But the wings are excellent at both places, especially compared to any chain store chicken wings. I wanted to get the pulled pork po boy but they were out of pulled pork, so I did some quick thinking and got the meatball po boy. Am I glad I did, because it was excellent. (My sloppy picture does not do it justice.) The meatballs were large, very meaty, not greasy, and seasoned nicely. There was just the right amount of marinara sauce (not too much), and the po boy was dressed in the usual po boy way with lettuce and tomato. 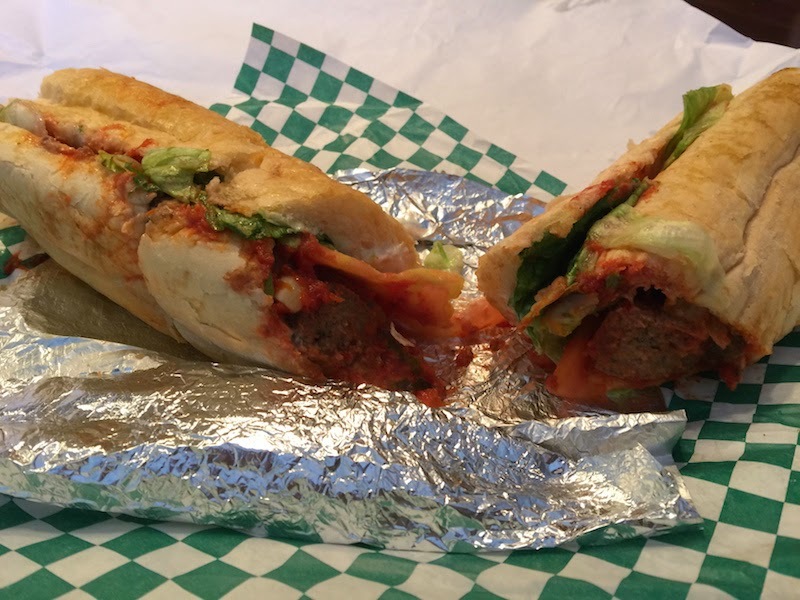 I have never had a meatball sandwich with lettuce and tomato before and it works. This was a great sandwich. When we were at Tracey's the other day, we tried an Irish sundae for the first time. Since Parasol's also serves it, we decided to try it here and compare. 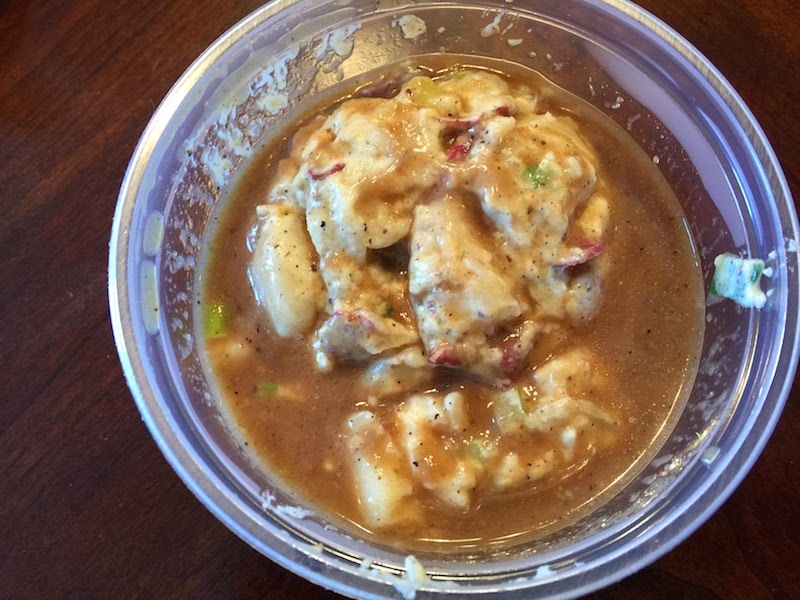 (An Irish sundae is roast beef debris over potato salad.) I was let down. The Irish sundae at Tracey's had chunks of roast beef on it, while the one at Parasol's is just the gravy without any meat. I will say that the underlying potato salad at Parasol's was excellent and next time I will just get that by itself. Have you ever been on vacation and enjoyed a place so much you went back during the same trip? Let me know in the comments below!